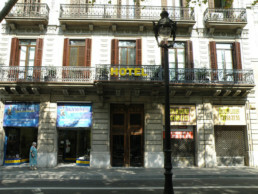 This small “Boutique Hotel” is located very close to Plaza Catalunya and the Ramblas with its unique character and style. 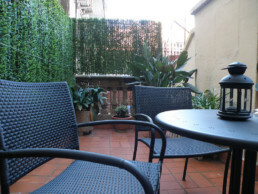 Located on the main floor of a Modernist building in the central district of the Eixample, it offers an excellent strategic location to visit by foot the center of Barcelona. It is close to the main monuments, museums and tourist spots. Our Hotel only has 15 rooms, so we can offer a personalized treatment to each guest. Very suitable for couples and families. We are located a few minutes from Paseo de Gracia, the most important commercial avenue in Barcelona, and Plaza Cataluña, the strategic center of the city. A few meters from the bus stop of the airport, the metro station “Universitat” (2 lines) and numerous city buses. The staff will offer advice and information to help to get to know the city. 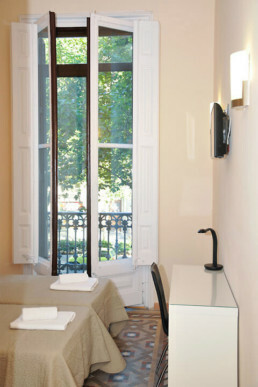 The hotel also allows its guests the possibility of leaving their luggage in our lockers on the day of departure.